Web Design, Ecommerce Web Development, Magento Web Design.Fino Web Design Launch! 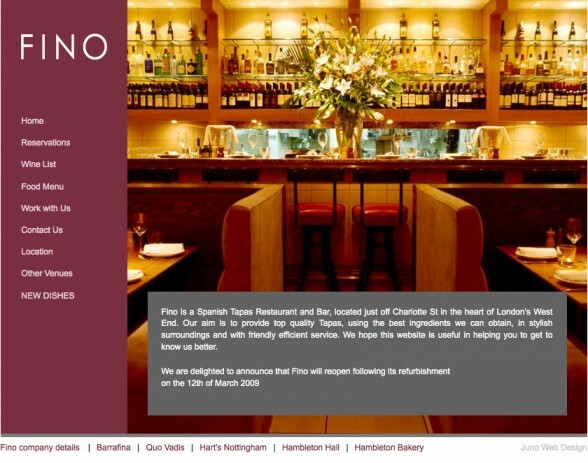 Well with a few late nights we have launched the new Fino website design a day early. The emphasis for this web design was simplicity with emphasis on the photography taken within the restaurant. We can’t wait for Fino to start producing the recipe of the week blog so that we can subscribe and chance our arms with gourmet home cooking. Anyone who has sampled my home cooking, the invites are in the post…. beware!